Growing up in Australia, icicles are something I’ve never had to deal with. 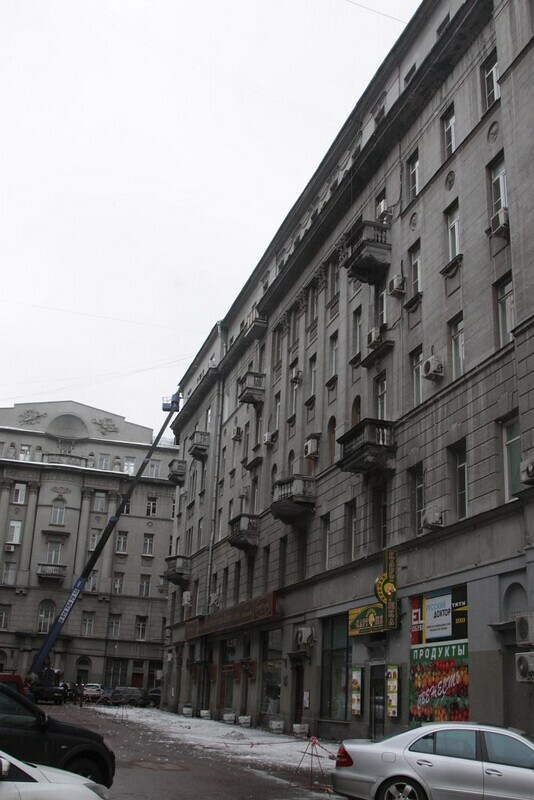 But over in Russia they are deadly serious for anyone standing below when they fall. Getting up high to clear the ice away is a difficult job in the snow. 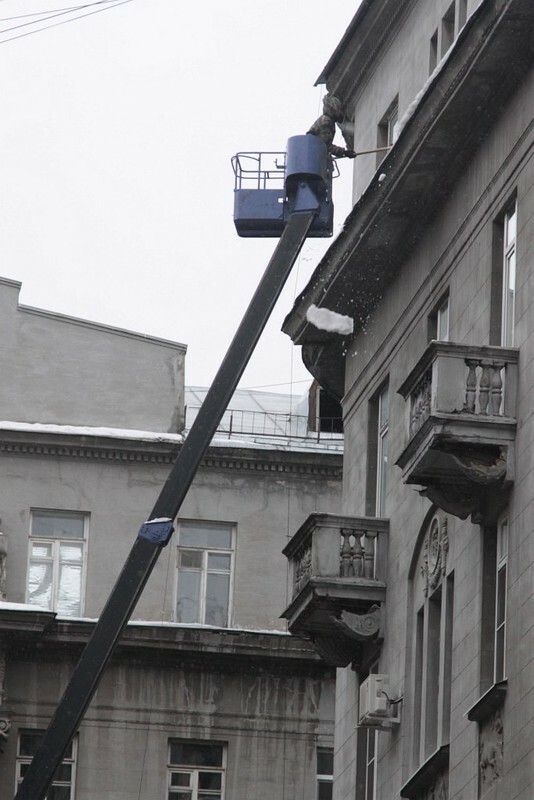 In Moscow I spotted a boom lift setup outside a six story high apartment building. With a man at work in the bucket, smashing the ice away from the building eaves. 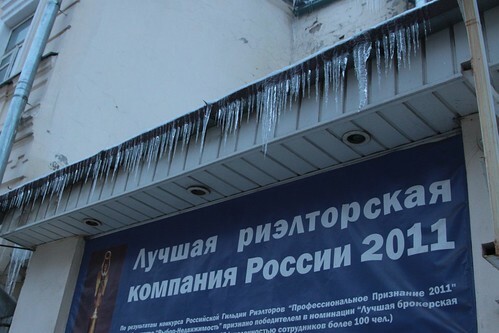 Deaths from falling ice are not uncommon – in the winter of 2001 at least 74 people were struck by plummeting ice in Moscow, with at least one fatality. 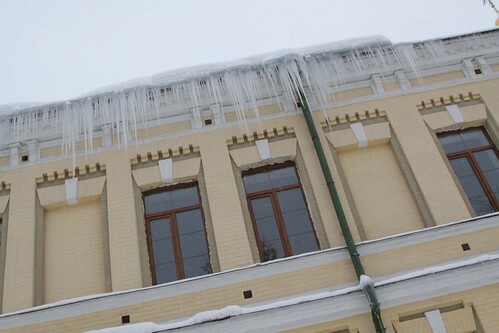 During one week of 2010 in Saint Petersburg, 300 people were injured as they slipped on an icy sidewalk or were hurt by a falling icicles. This entry was posted in Everyday life and tagged Moscow, Russia, snow, winter. Bookmark the permalink.